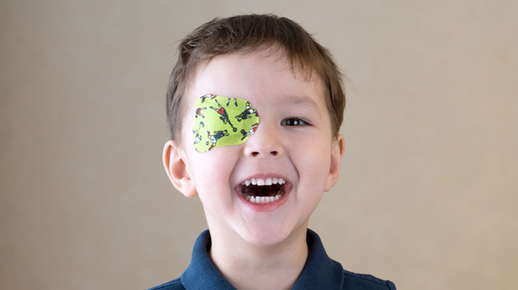 Eye patches are used to strengthen muscle control in weak eyes. By placing a patch over the strong eye, the weaker eye is forced to do the heavy lifting. While it may be uncomfortable for the patient at first, the muscle controlling the weaker eye will become tougher and more resilient. This will allow the individual to control its movement. When removed after therapy, the person should be able to move both eyes in an organized fashion so that they work together and not against one another.